The College of Veterinary Medicine at the University of Illinois is seeking an Instructional Designer to provide consultation and support services in instructional design, strategies, assessment, technology, and distributed learning for instructional development projects for the College of Veterinary Medicine. This is a regular, full-time (100%) academic professional position (12 month, non-tenure tract). Other related duties to further the mission of the unit. Candidates must possess a Bachelor’s degree in Education, Educational Psychology or an e-Learning related field. A Master’s degree in Education, Educational Psychology or an e-Learning related field is preferred. Candidates must also possess at least two years’ experience in course design, using new teaching technologies and teaching online. Knowledge of college pedagogy, excellent communication, presentation, team skills and familiarity with the literature on teaching, learning, and course development is also required. Successful candidates must possess a knowledge of instructional technologies and their application in a higher education environment and have the ability to work independently with a large degree of latitude to solve problems. The ability to work with clients from varied administrative, academic, cultural and linguistic backgrounds utilizing clear, concise written and oral communications, and the ability to work cooperatively in a team environment is preferred. This is a regular, full-time (100%) academic professional position (12 month, non-tenure tract). At the conclusion of the search. To ensure full consideration, applications must be received by June 15, 2018. The review of applications will begin immediately. Interviews may occur prior to June 15, 2018; however, no hiring decision will be made until after that date, and consideration will continue until suitable candidates are identified for the position. Interested applicants are invited to apply online at http://go.illinois.edu/i_Learning_ID. Applications should include a cover letter stating career goals and interests, resume, and names including contact information for three or more references. The University of Illinois conducts criminal background checks on all job candidates upon acceptance of a contingent offer. 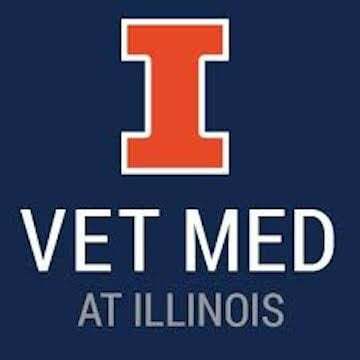 The College of Veterinary Medicine at the University of Illinois educates future veterinarians and biomedical scientists, makes discoveries that improve animal, human, and environmental health, facilitates production of a safe food supply, and delivers outstanding clinical care.